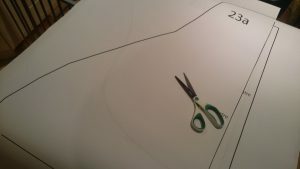 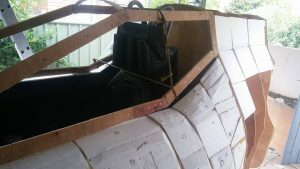 Continuing on from the rear firewall of the cockpit, the next two modules to attach are the last part of the fuselage for the three main engines to attach to. 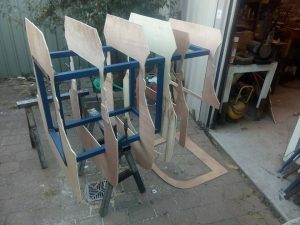 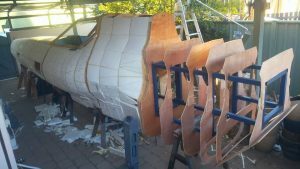 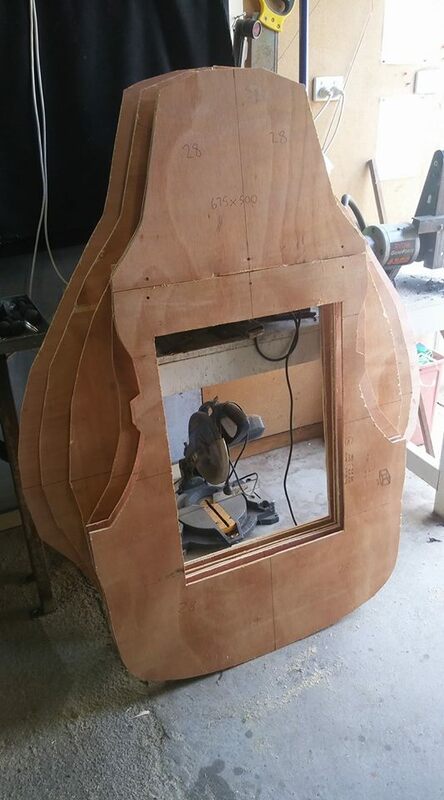 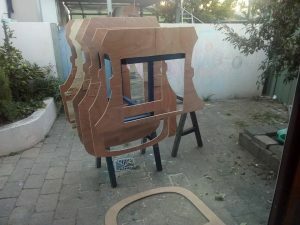 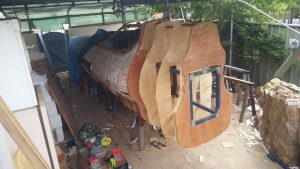 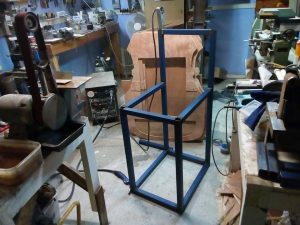 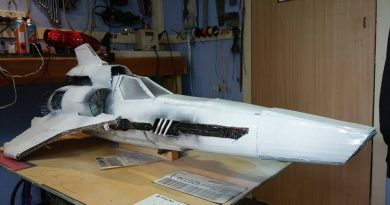 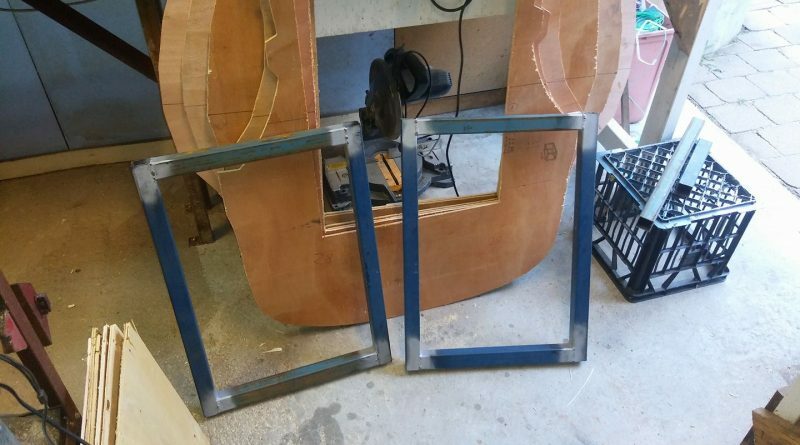 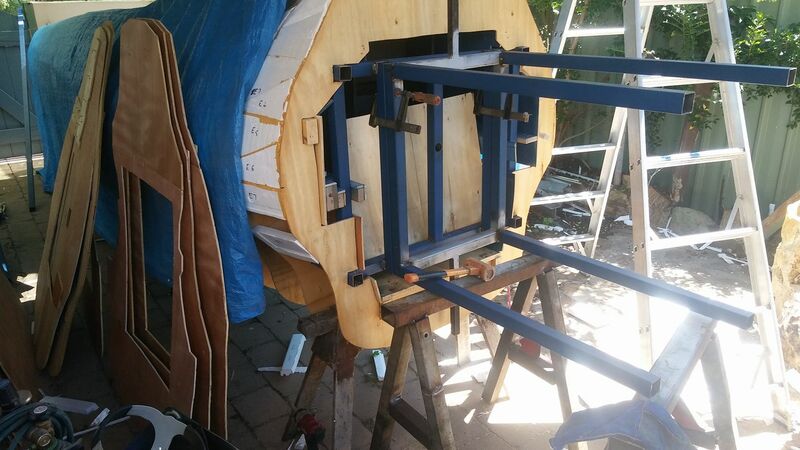 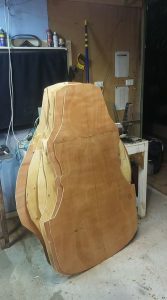 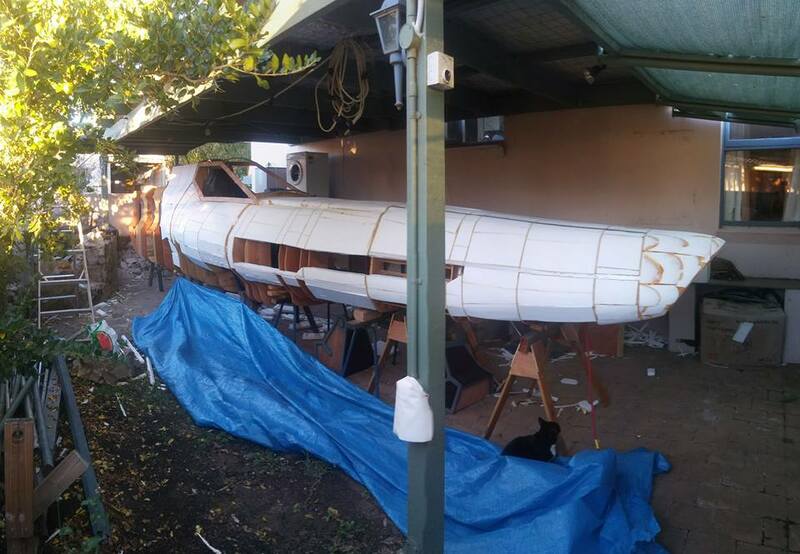 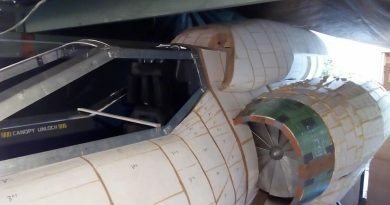 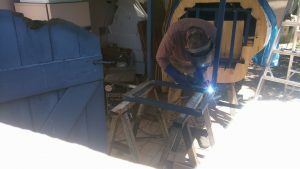 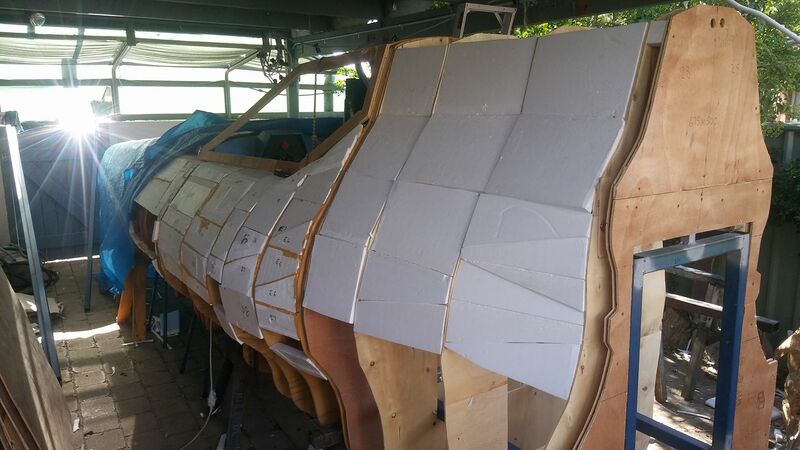 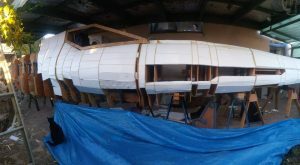 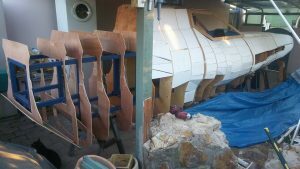 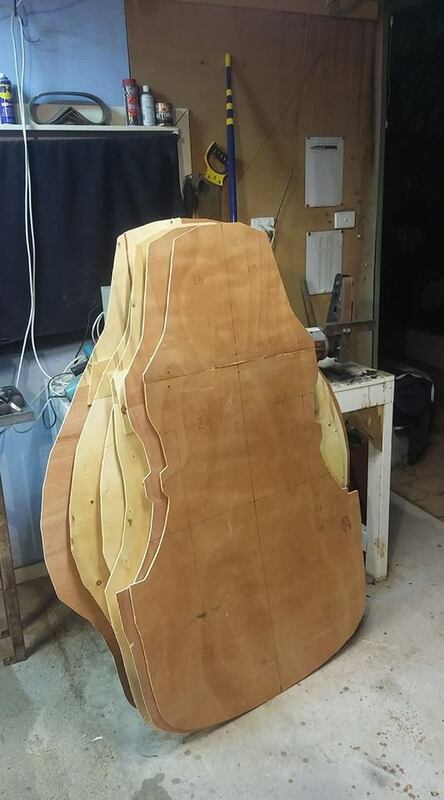 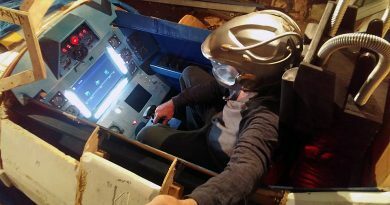 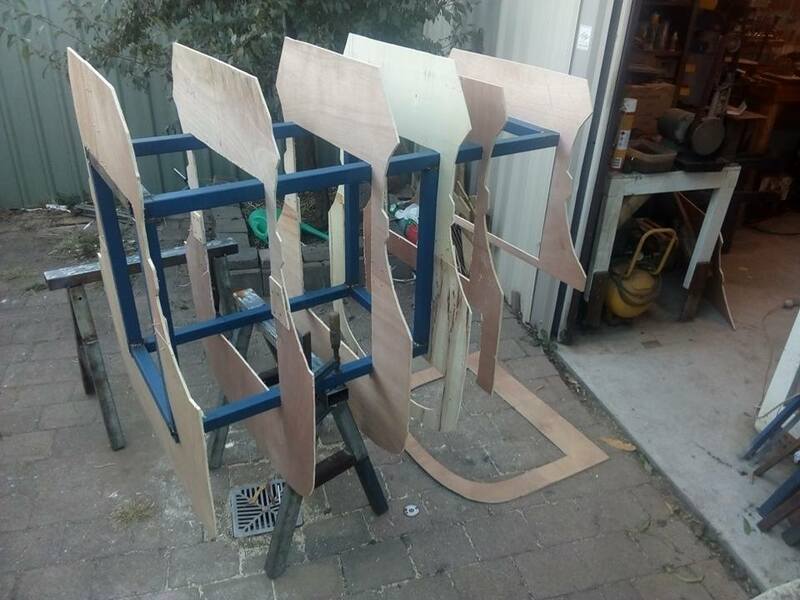 As with the rest of the fuselage, there is a steel box-section frame inside to support the plywood formers and to provide a rigid structure inside to bolt the sections together. 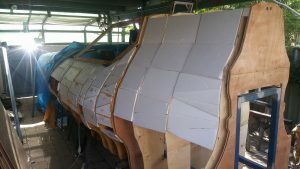 Once complete, this section houses all the effects systems for light, sound and movement in each engine. The last one in the fuselage, bringing it to full length of 8.4 metres.